You have 1708 characters. Don’t forget to add important and relevant keywords in your description to improve your iTunes app page and optimize your SEO. Your app's last version was released on August 24, 2009. It is important to regularly update your app. Best practices recommend to update your app every 4 to 6 weeks. This means fixing reported bugs, improving existing features, launching new features etc. Keep an eye on users' feedback. The next great features may already be asked by many users. Relax and let the sounds of the sea transport you far away. You are the Harbour Master in a busy harbour. Direct boats into the docks, watch them unload their cargo, and direct them off the screen. But be careful not to let the boats crash, and watch out for the pirates, monsters, and cyclones! This classic best-seller now has beautiful high resolution graphics for iPhone 4 Retina Display. It looks amazing! And don't miss the brand new level, Cargo City! * Fishing Bay - A peaceful harbour to get you started. * Cyclone Island - Careful, cyclones spin your ships around! * Sturgeon Creek - Make sure the right cargo goes to the right port. * Cannon Beach - Can you fight off the pirates with your trusty cannon? 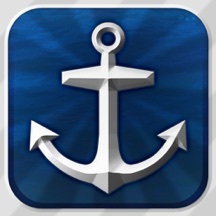 * Smugglers' Reef - Help the smugglers unload their loot in the right port. How well can you multitask? * NEW! Cargo City - Three cargo colors! Can you handle it?! - Multiplayer! Compete with your friends via Bluetooth. Who will be the ultimate Harbour Master? - Beautiful high resolution graphics for Retina Display! - The most addictive, fast-paced line-drawing action ever!